We are all "Cancerians," born in July. Bet you didn't know that! 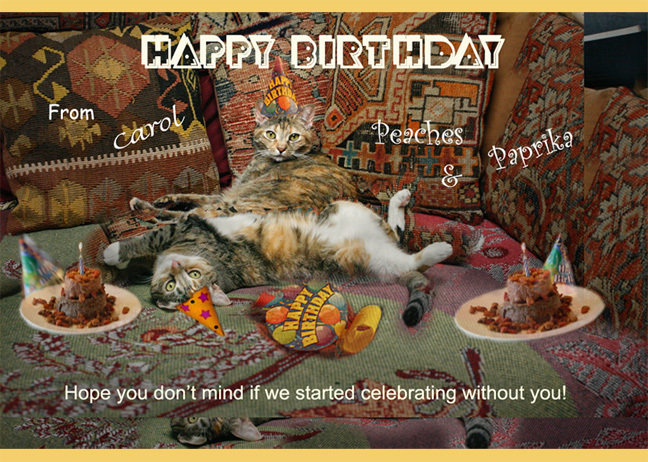 Here's a special tribute to our human, Carol, born today and then will you come back in a couple of days (july 10 to be exact) for OUR double birthday Celeb. After all we ARE Litt-FURrrr-mates as well as SISFURS!!!! Oh dear ... does that mean you're crabby? Well, of course it doesn't! 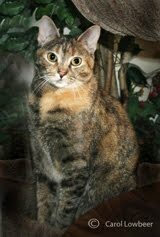 Happy Purrs Day, Miss Carol! Thanks! I love it that we are all three cancerians! Happy Birthday to your human! We hope her day is purrrrfect! A very Happy Birthday to the Mom Carol. Hope she has a wonderful day. That is such a great picture of you Peaches an Paprika. Take care. Happy Birthday to Carol!!! Hope you give her lots of cuddles and purrs. A very very happy birthday Carole! We wish her a fabulous day. Great selfie Peaches and Paprika! Happy Birthday to you! We don't mind if you started celebrating - you just get to celebrate longer that way. Hope you had a great day. Happy Birthday - that looks like some party!!! Happy Birthday to your human, Carol! 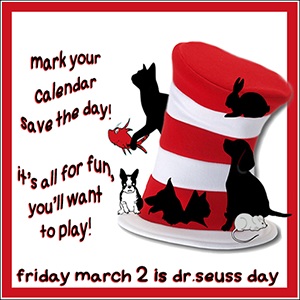 Hope it is a purrrrrrrfect day! Pawties is so much fun! Mes shall stops by. and now, mes shall sing for your Mommy! Happy Birthday to your human! Happy birthday to Miss Carol! Mom and I are both Cancers too! Love your graphic -- looks like a great party! Y'all sure awe bootyful. Happy Meowday to yous hooman. Hope yous have a blest day. Happy birthday to your wonderful mom! Definitely a cool birthday party for everyone :-) Have a good feast girls! Happy July all around! Happy Birthday to your mom too! 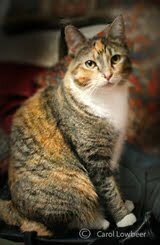 We hope her b-day was filled with love and purrs. Wow, you could all have a gigantic party for the triple celebration since the dates are so close together. Hope it was a great day. A belated thank U Marg for ur good wishes & compliments on our picture. Have a great week! We luvva da krazu pawties. Thanx for the Purrs and good wishes! Thank U belatedly, human-Carol still playing catchup but we so appurrrreciate the sweet wishes! 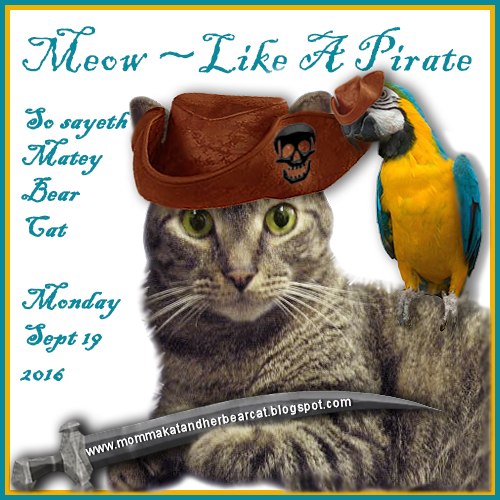 Thank U Marie & Athena & Purrrrs to U for your wonderful CATURDAY Art blog...we love it! It was a great pasty and thanx for the compliment on the graphic! Thank you so much Lone Star Cats! The best! Thank U, Jan!